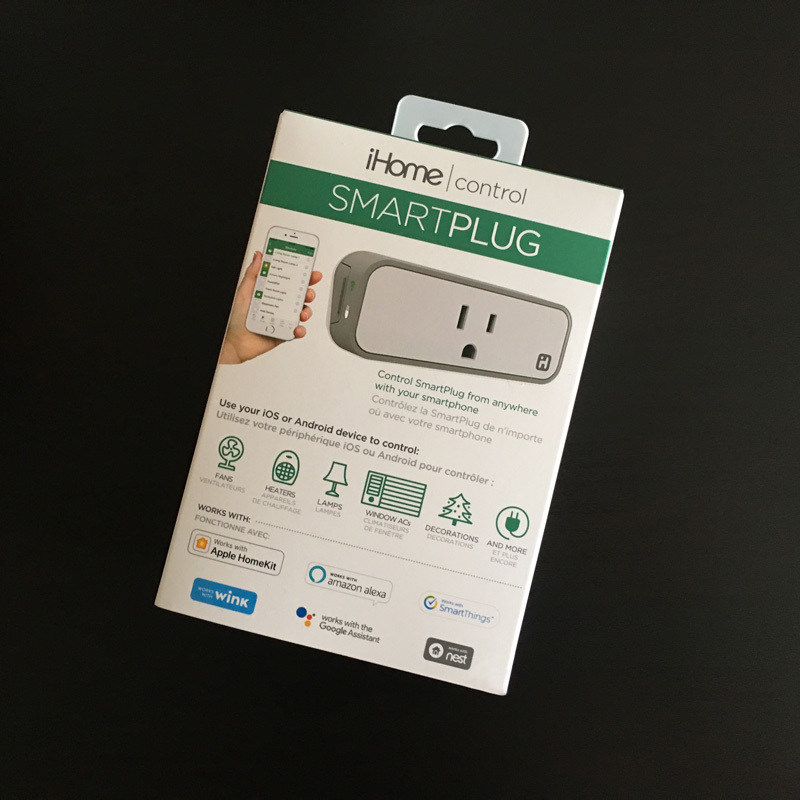 The iHome ISP6X Smart Outlet has been around for a while now, and whilst iHome isn’t one of those companies that has focused solely on Smart Home products, the few items that they do make for this area of the market are more than adequate for any system you happen to be using – Amazon Alexa, Wink, Google Home, Nest, SmartThings and of course HomeKit. 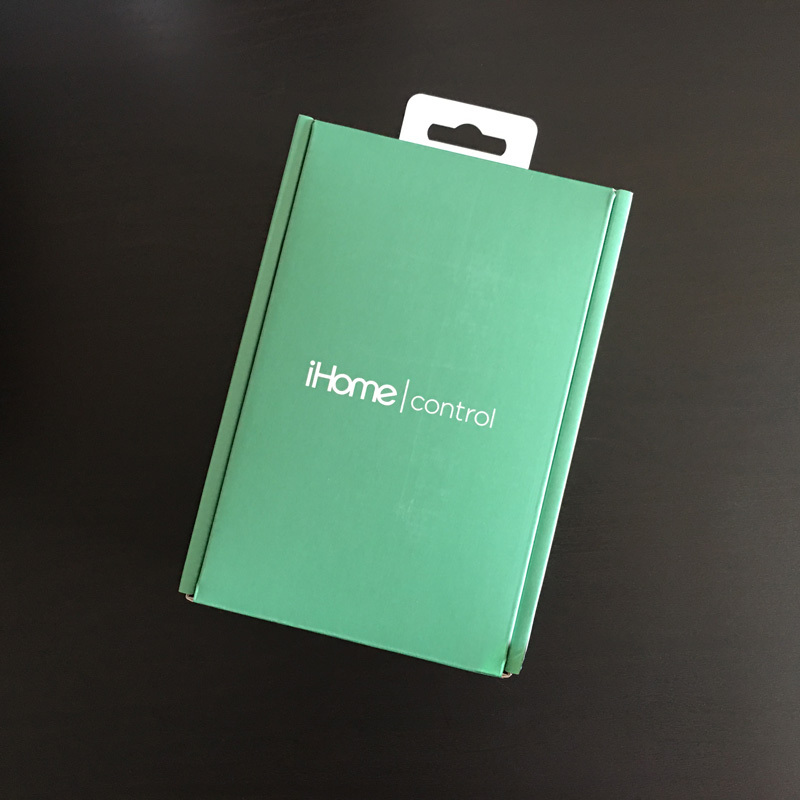 This product arrived here earlier this week and as with many products I’ve purchased of late, this comes in a nice sturdy box, and as I live in Taiwan, shipping from the USA or UK really requires packaging that will withstand the journey. 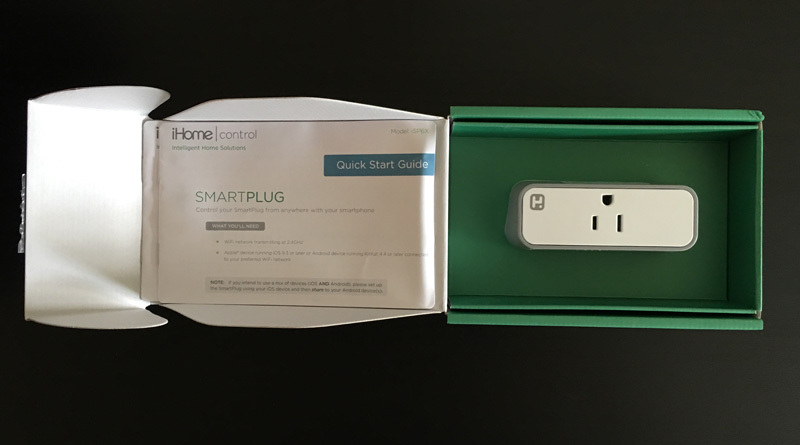 The outer sleeve pretty much tells you everything you need to know, especially if you’re not familiar with Smart devices, showing you what systems it’s compatible and examples of what it can be used for – fans, lamps, heaters, ACs, decorations and more. Removing the sleeve, you’re presented with the aforementioned ‘sturdy’ box. Once opened, you simply get the outlet itself and a couple of instructions manuals – one in English and one in French (for French Canadians I’m assuming). 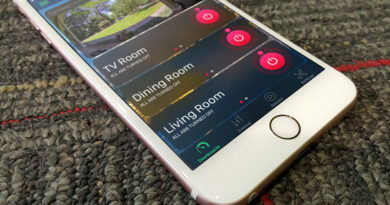 If you’re familiar with any iHome Smart products, then you’ll be aware of their app, which while useful enough for updating firmware, isn’t necessary for day to day usage, so you can easily forget about this app when installing the device and just add it via Apple’s Home app. 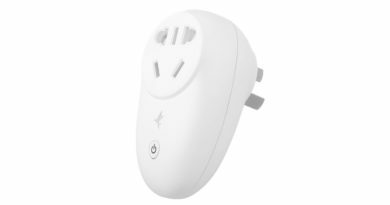 The outlet itself only contains a single socket, as do most of these types of devices (the ConnectSense double Smart Outlet and the Power strips by Vocolinc & Koogeek being exceptions). 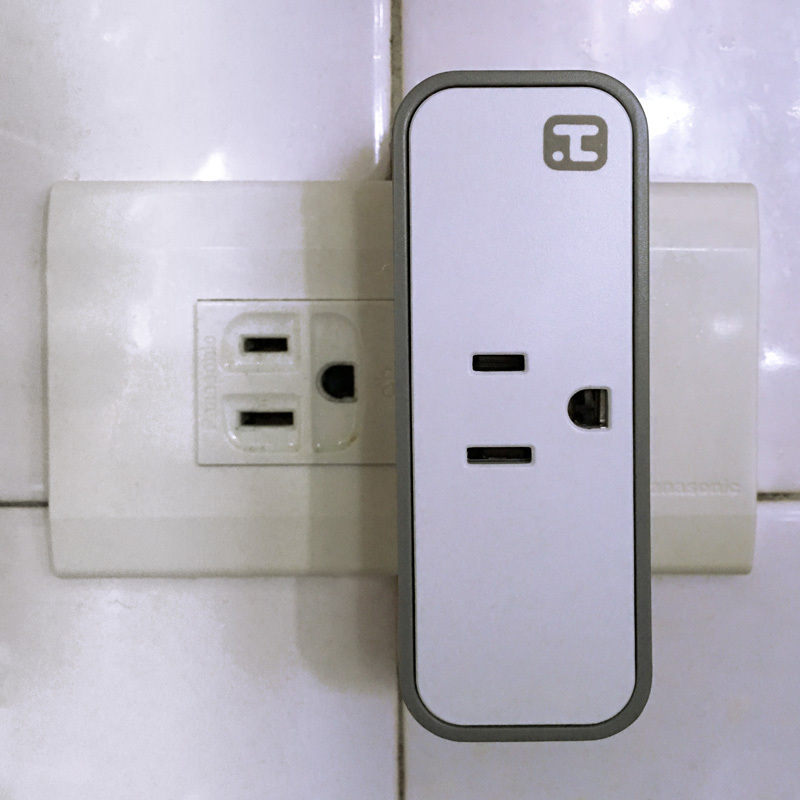 But what makes this particular outlet a bit more useful is that it is rather slim, and when it comes to smart outlets being plugged into the wall, they often take up a bit more space than they should, resulting in the other wall outlet being slightly obscured and therefore useless. The ISPx6 makes this a non-issue due to the slim profile, affording the second wall outlet enough space for other things to be plugged in – even a second ISPX6 if you wish! 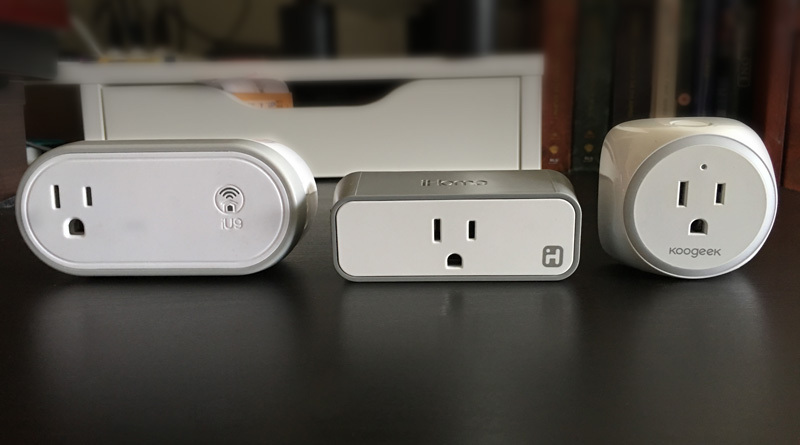 When compared to two other Smart outlets I have (the Opro9 and the Koogeek P2) you can see that it’s much slimmer. However, this slim profile is only of any use if the sockets themselves are positioned sideways as in the picture below. If they aren’t, then essentially this device takes up three spaces. Something to bear in mind if the slim aspect of this device is the main draw. 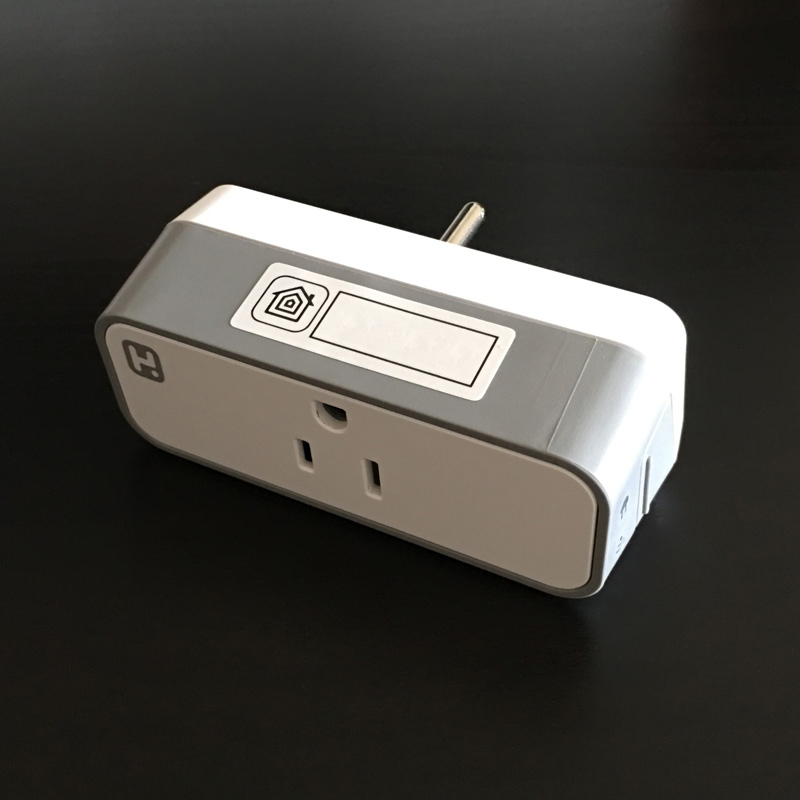 The physical button that comes as part of this device, should you need it, is located at one end, having a small raised strip so you can feel the button if it’s out of view. 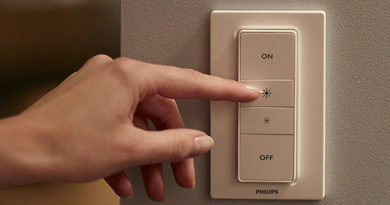 Alongside the button are two small indicator lights; one to show that it’s connected to the network (lighting up in green) and another to show whether the device is on or off (in white). 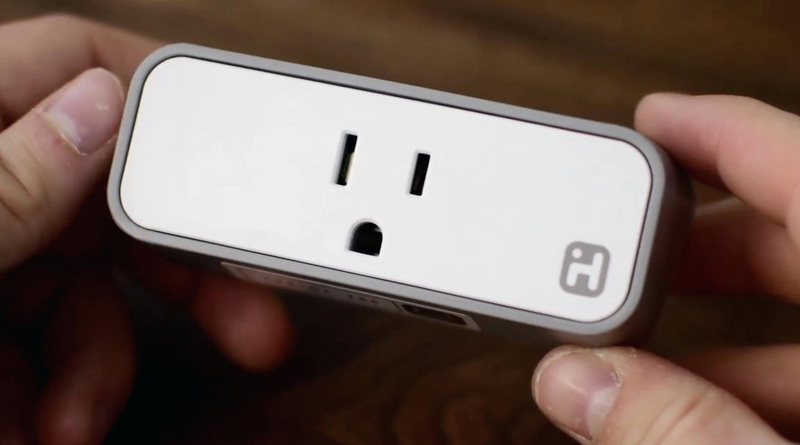 Other than that, this is just a standard Smart outlet. 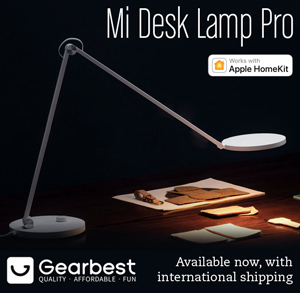 It doesn’t have energy monitoring, like some devices, but the price is pretty reasonable, coming in at between US$25 – $30.00 on amazon.com. 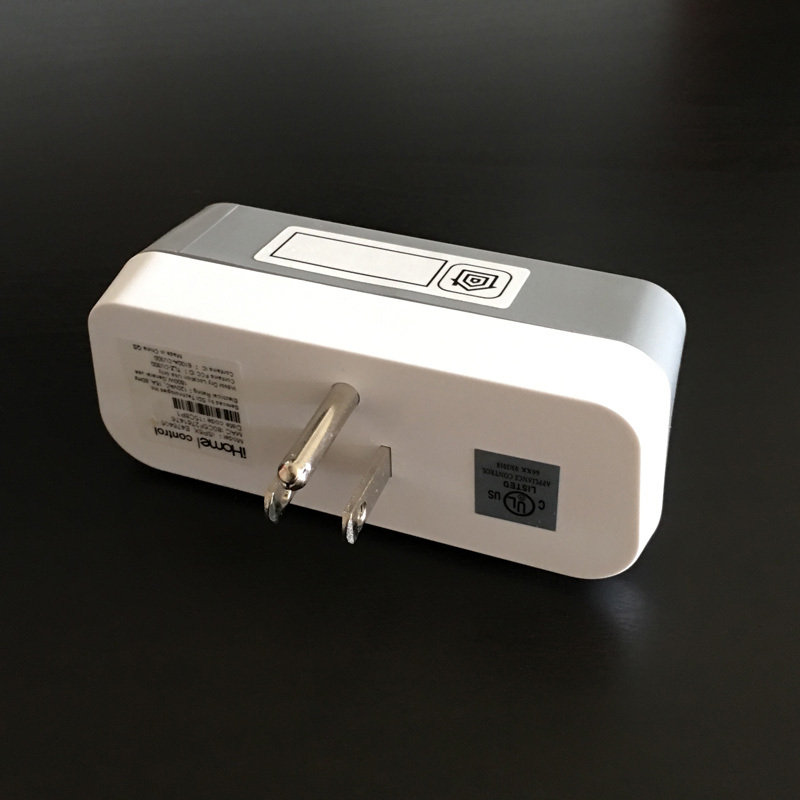 Having it on test for the last few days, I haven’t noticed it lose connection to the network so far, and as with most HomeKit products of this type, it’s pretty responsive, so for the price, I’d say the only real competitor in this price range would be the iDevices Switch, which unlike the ISPX6, does come with a night light, however, if you’re using Wink, SmartThings or Nest, then this covers it, which the iDevices Switch doesn’t. 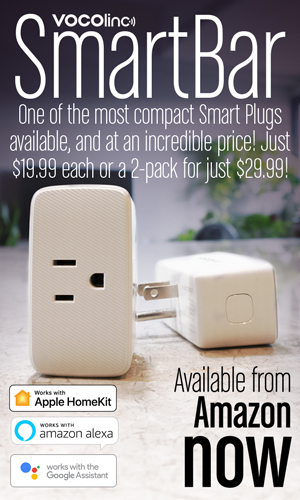 HomeKit Compatibility:Controlling this HomeKit-enabled accessory requires an iPhone, iPad, or iPod touch with iOS 9.0 or later.Control your SmartPlug away from home.Controlling this HomeKit-enabled accessory away from home requires an Apple TV (3rd generation or later) with Apple TV software 7.0 or later and an iPhone, iPad, or iPod touch with iOS 9.0 or later.